Today we sit down with Bryan and Missy of Daily bumps and Carl and Jinger of... well, Carl and Jinger! 😂 We talk about the various aspects of living our life on YouTube, the changes that we've each made, the content that we make, and more. Then we dive deep into our past about how we might have found a path on social media and how it affects our life. We talk with Bryan about his past life and how he's made changes so his kids don't live the same way he did. We talk with Carl and Jinger about a secret project that they've been working on. I hope you are just as inspired to do what you love as you listen, as we did while we chatted. Today we are joined by the incredible Mindy McKnight of CuteGirlsHairstyles! 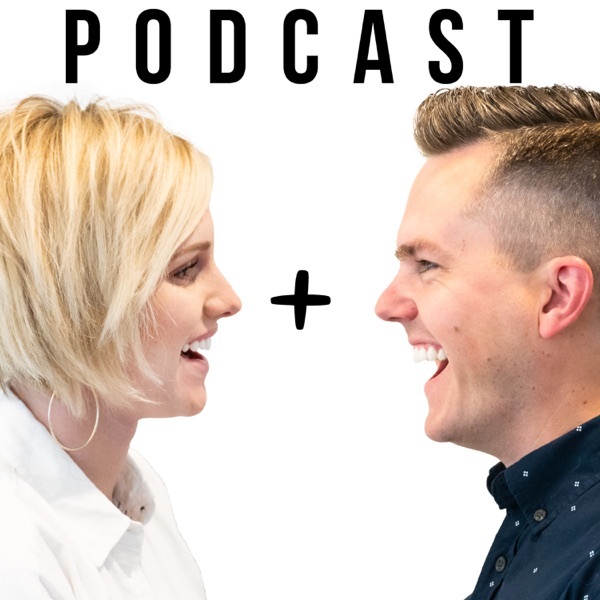 As of just recording this podcast, they have celebrated 10 years on YouTube and the #1 hairstyling channel on YouTube (certainly least in our hearts!) Today, we talk about the journey of starting their YouTube channel, expanding to multiple channels with their family, creating new products, and Mindy's new book - Viral Parenting. We discuss the importance of parenting digitally as well as analog parenting and how it's a new environment than what we might be use to. And it is available EVERYWHERE on April 2nd. Be sure to give us a good rating and review and follow us below! How To Lose Weight Fast And Easy... Well, It Worked For Me. Today, Ellie and Jared sit down and give you a BIG SECRET. And based on the title - It's not what you think. We're going somewhere so fun and we can't wait! I felt weird typing that, but we gotta protect ourselves. haha! Today, Ellie and Jared discuss their experience with their previous and current YouTube schedule. Why they made the changes and how it has impacted them. In addition to that, Ellie and Jared discuss the recent changes to YouTube and why their comments are currently disabled. We love the community and know this is temporary - we want to do what we can to help maintain a positive and uplifting environment in all of our social platforms. We're not perfect, but we're doing our best! Thank you for listening. Please rate and review the podcast! Thanks! Today, we sit down with Bonnie and Joel and discuss some dreams and ideas that we have with the new property that we bought. We also answer some of your questions about it! But first, we look into how we can become ministers and marry people. The Hilarious Comedy of Studio C, Er... I Mean JK Studios!